Disorderly conduct complaints are extremely common in Newark and throughout Essex County, New Jersey. These charges are usually filed when a person is accused of getting unnecessarily aggressive in public. Moreover, although New Jersey law does not technically prohibit behavior which is merely loud, it is not uncommon for individuals to be cited for loudly arguing with police officers. In fact, any kind of obnoxious, annoying, or disruptive behavior can lead to a charge for disorderly conduct. The reality is that NJ police will often charge a person with disorderly conduct when they can’t bring charges for simple assault, trespassing, or resisting arrest. Although it may seem relatively minor, depending upon the underlying circumstances, you could be exposed to significant jail time. That’s why it is imperative for you to speak with an experienced criminal defense attorney who understands the law and who can defend you against a disorderly conduct charge. The Tormey Law Firm is a criminal defense team with attorneys who will do whatever it takes to defend you against disorderly conduct charges. We have years of experience representing clients facing disorderly conduct charges in Essex County, NJ, including Caldwell, Millburn, Bloomfield, Montclair, East Orange, and Irvington. The firm’s managing partner, Travis J. Tormey, previously worked for two of the largest law firms in New Jersey. 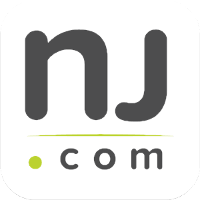 As a respected legal resource, Mr. Tormey was quoted by AOL News in 2010 when discussing New Jersey charges for disorderly conduct. Another member of our litigation team is a former county prosecutor who successfully represented the State of New Jersey as numerous trials; now he is fighting on behalf of clients, like you, who have been charged with criminal offenses in New Jersey. If you or a loved one has been charged with disorderly conduct in Essex County or elsewhere in New Jersey, contact the Tormey Law Firm in Newark at 201-654-3464 for a free consultation. One of our experienced attorneys will answer your questions and help you explore your legal options. Disorderly conduct charges in New Jersey are addressed by N.J.S.A. 2C:33-2. The law applies to anyone who engages in improper behavior, which is defined as purposely or recklessly causing a public inconvenience, annoyance, or alarm. The law is broad in scope, applying to a wide range of behavior and conduct. Whether you were fighting another person or threatening someone, you can potentially be charged with disorderly conduct. In fact, both verbal and physical threats are contemplated by the statute. This means that even a few words taken out of context can result in disorderly conduct charges and potential jail time. One of the requirements of the law is that the conduct occurred in a public place. However, for the purposes of the disorderly conduct statute, just about any public area constitutes a “public place.” The statute lists a number of examples, including highways, transport facilities, schools, prisons, apartment houses, places of business, places of amusement, and neighborhoods. Improper Behavior: If the disorderly conduct involved improper behavior, such as fighting, it is classified as a disorderly persons offense. These cases are handled in the local municipal court and carry a potential penalty of up to 6 months in county jail, as well as a fine of $1,000. Offensive Language: If the disorderly conduct involved offensive language, it is classified as a petty disorderly persons offense. A conviction may result in a sentence of up to 30 days in county jail, as well as a fine of $500. Although disorderly conduct is not classified as an indictable criminal offense, a conviction for disorderly conduct will still show up on your permanent record. This could cause serious problems down the road when you apply for jobs and/or college admission. If you or a loved one has been arrested for disorderly conduct in Essex County, the Tormey Law Firm understands how important it is for you to avoid getting a criminal conviction on your permanent record. That’s why we will fight your disorderly conduct charges and help you avoid the most serious disorderly conduct penalties. Call us now at 201-654-3464, or email us to schedule a meeting at our Newark office.